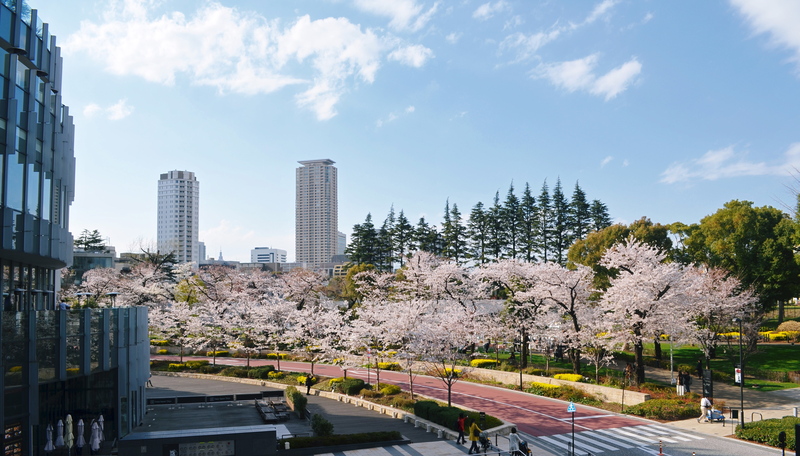 Hanami 2012 is the latest I’ve ever seen with, most of the Sakura trees in Tokyo in full bloom by mid-April. It’s a cold year and winter seems to be endless. 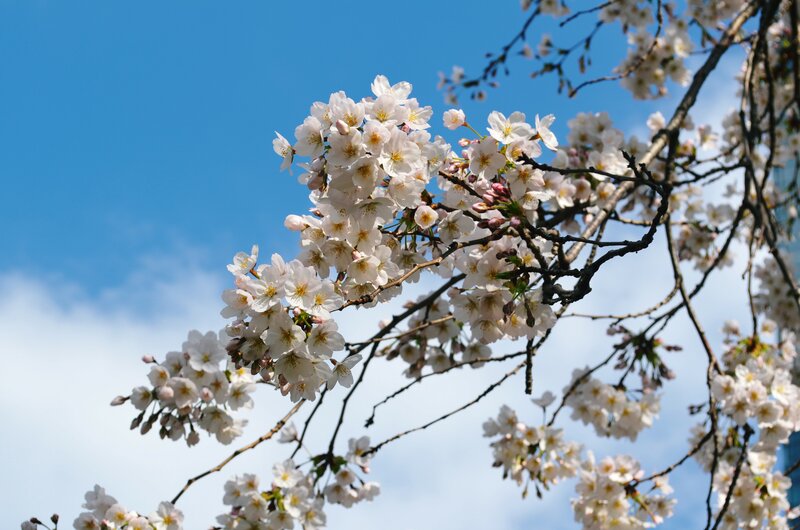 Nonetheless, the cherry blossoms are as beautiful as ever and this is a very exciting time of year in Japan. Lunch was with N at Canoviano. Aside from their irritating penchant for serving cold spaghetti in the freezing cold March/April weather, their high quality, modern Italian menu is impressive, either for lunch or dinner. 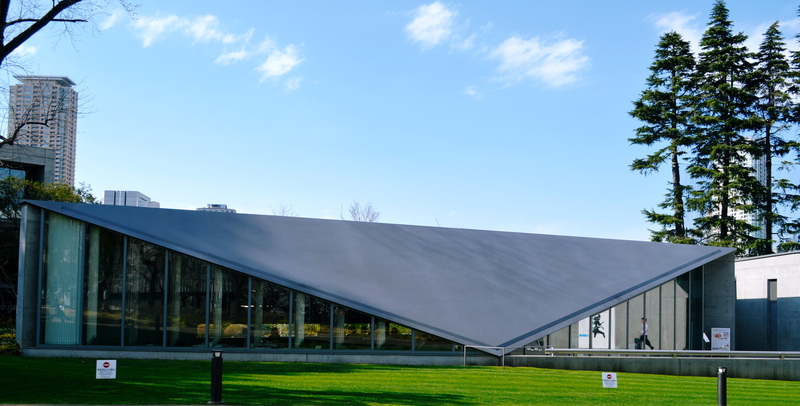 Next to Canoviano in an identical building (by the architectural visionary Tadao Ando) is the 21_21 Design Sight, a small gallery dedicated to avant garde design. The 21_21 exhibits never fail to please and they usually have a Japanese theme. Admission is usually ¥1000. While at Tokyo Midtown, I step into the Ritz Carlton for afternoon tea. 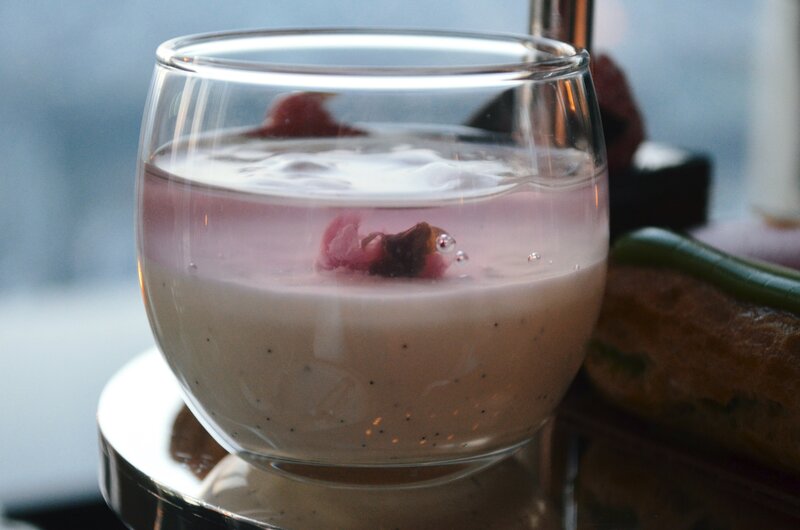 The special sakura menu in the Lobby Lounge on the 45th Floor is available for a few weeks every year and life is too short to miss out on vanilla and cherry blossom parfait. 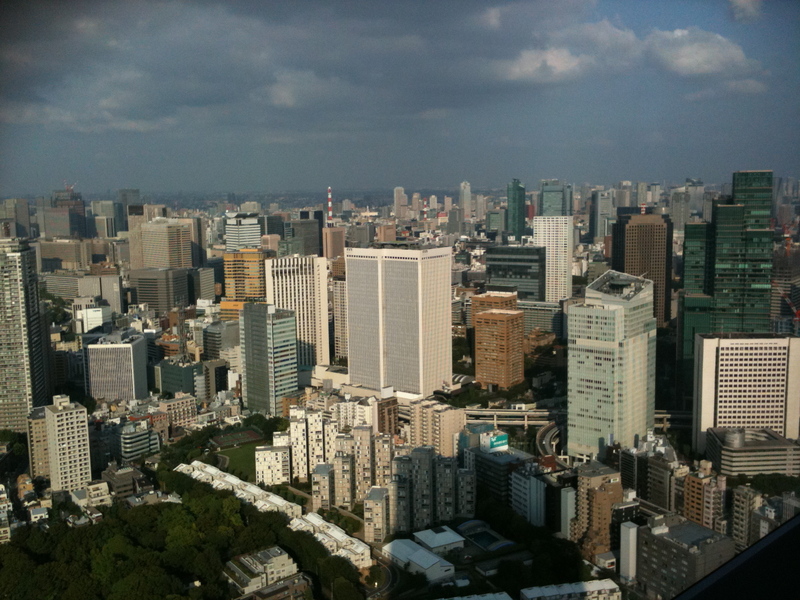 There is no better view of Tokyo and it comes with pastries. 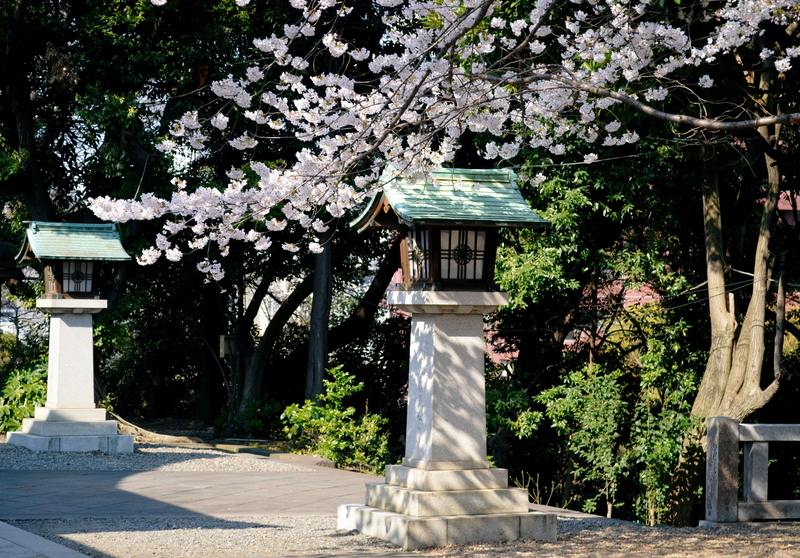 Hie Jinja shrine in Akasaka is a few minutes walk from Tokyo Midtown and especially spectacular in spring. 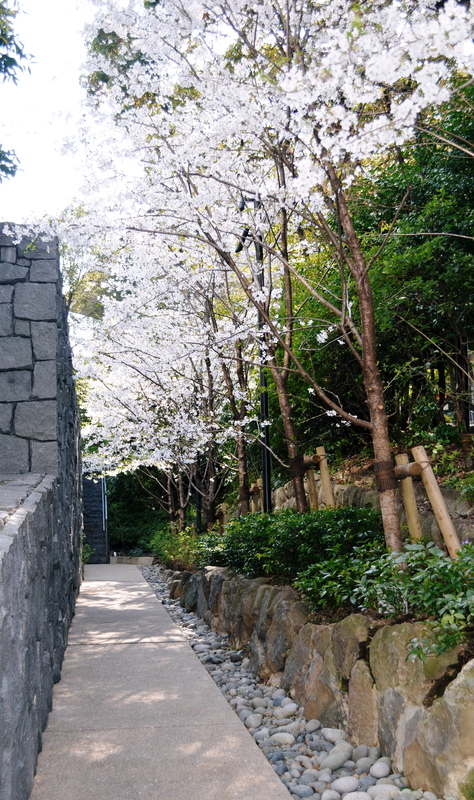 Head over to the shrine to pick up your Omikuji, which are fortunes on pieces of paper. 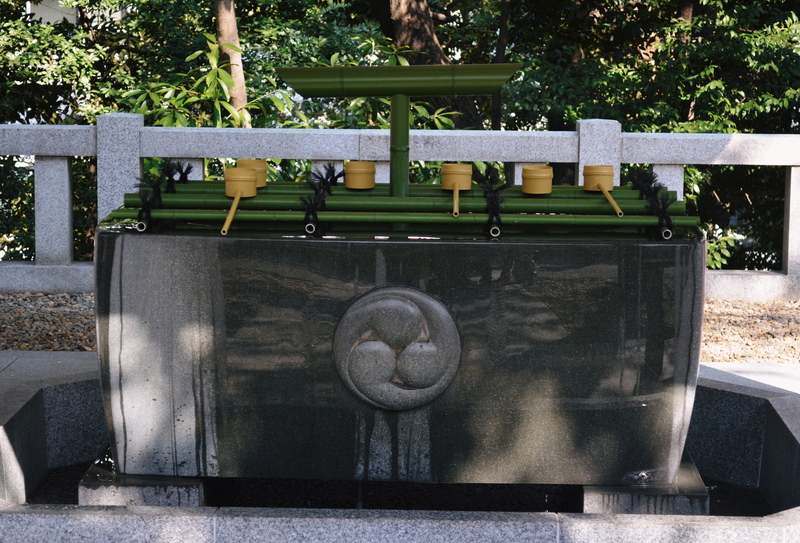 Hie Jinja has them in both English and Japanese. The blessings range from great blessing, middle blessing, small blessing, half blessing, future blessing, and future small blessing to a curse, a small curse, a half curse, a future curse or a great curse. 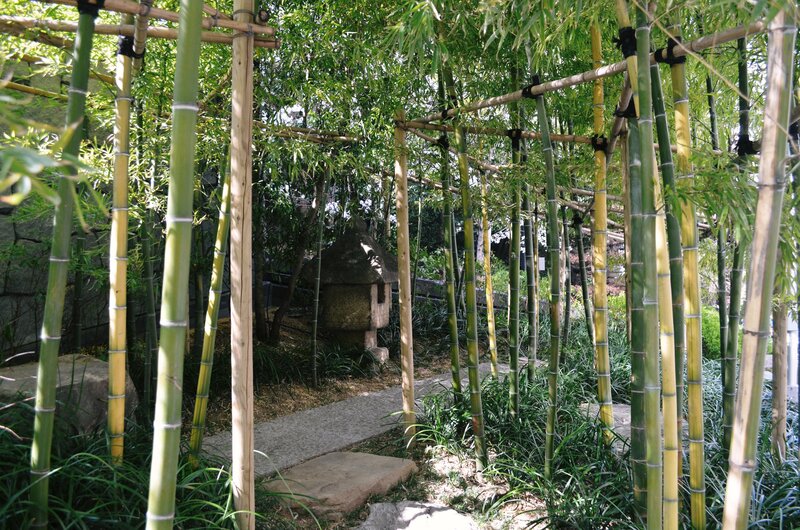 Anyone with a bad fortune can tie the paper to a tree or wire within the temple grounds in the hope that the bad fortune will remain there rather than to enter the life of the bearer. 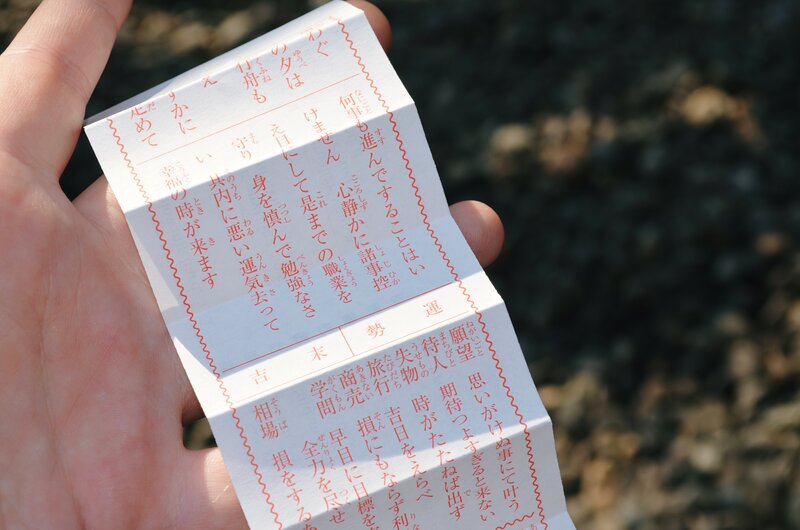 I didn’t do too badly – I was lucky to get a sue-kichi, 末吉 or future blessing and here it is! My fortune is good. I should be honest and modest. It’s not the year to change jobs and I shouldn’t volunteer for anything.If I work and study hard fortune will come to me. If I have lost something, it will take a long time to find. I will neither gain nor lose in business. No gambling or speculation for me this year as I will surely lose. I will be hindered by others. My future will be bright regarding marriage. Regarding childbirth: It will be easy. I should choose a good day before commencing any travel. 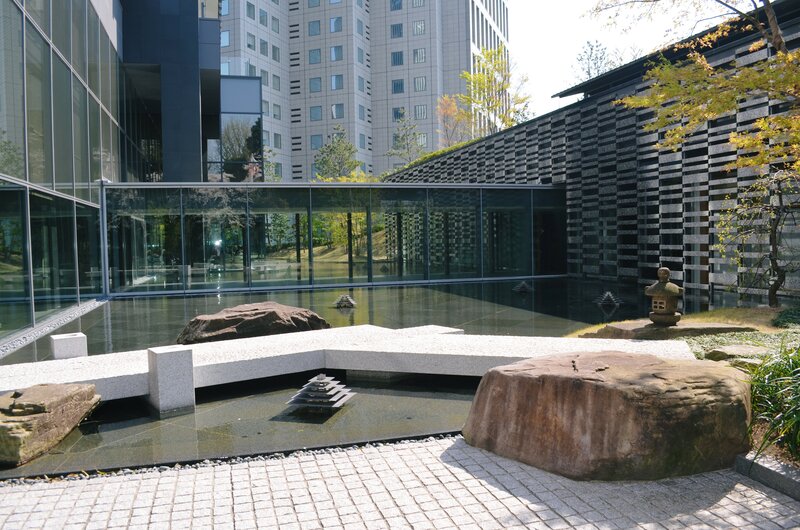 Walk down the stairs from Hie Jinja and through the landscaped garden to the new Capitol Tokyu Hotel. 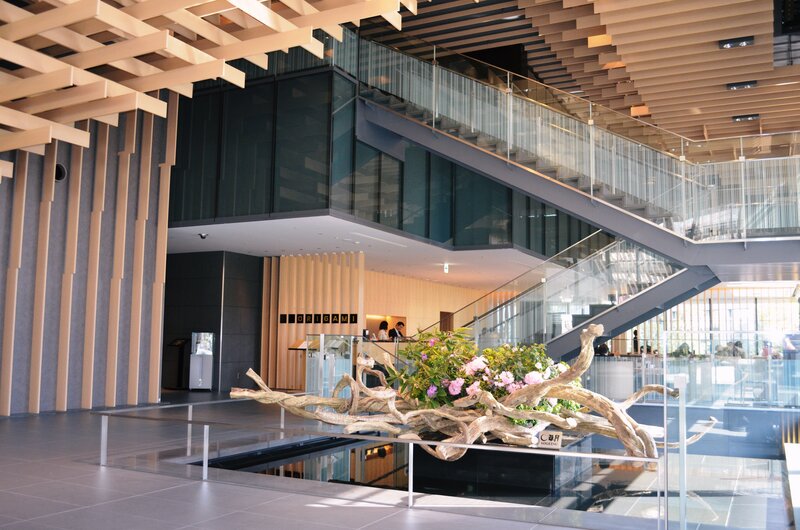 My good fortune kicked in straight away with CM, N, friends/ collegues taking me for lunch in the fabulous Suiren, the signature restaurant in the new and lovely Capitol Tokyu Hotel in Akasaka. 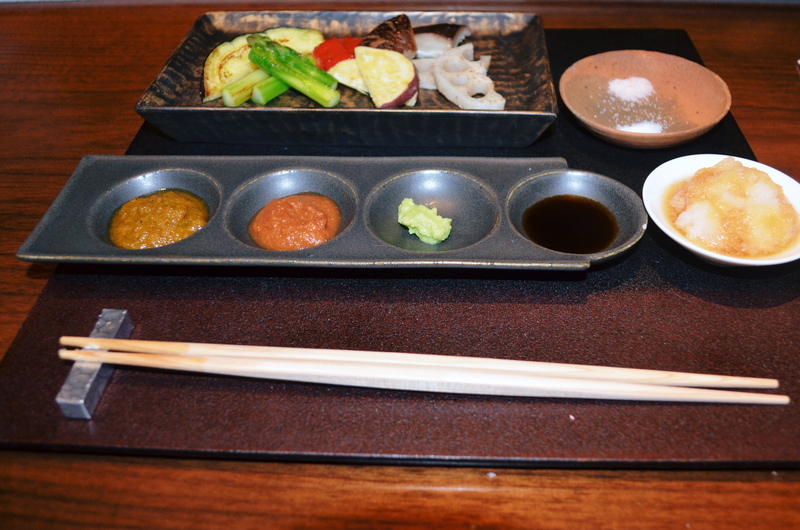 They offer kaiseki, sushi and teppan-yaki. 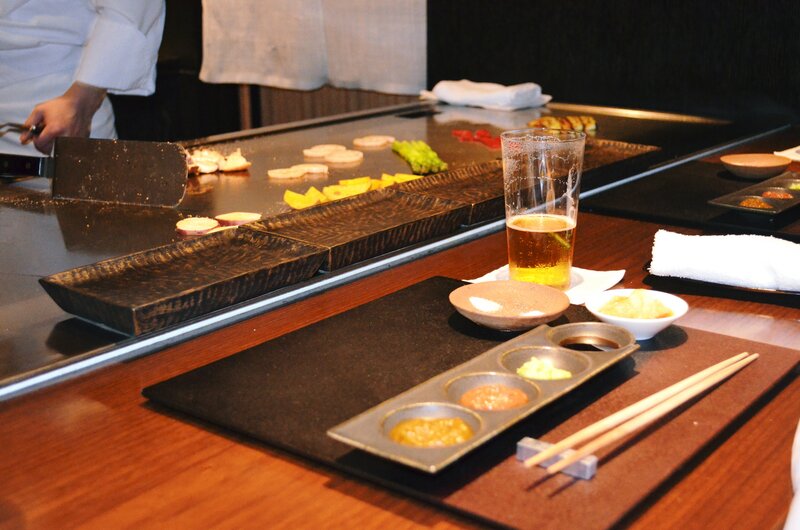 Everyone has been raving about their teppan-yaki and now we know why. 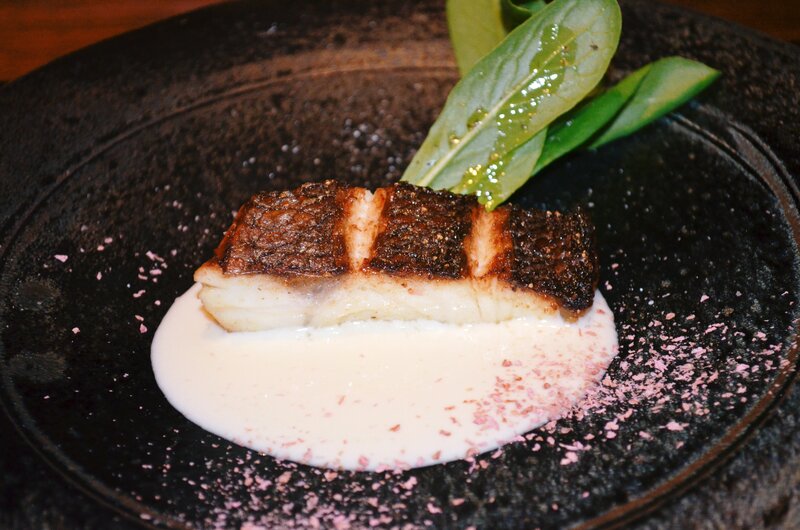 Suiren’s menu is modern Japanese fusion cuisine. Our course included carrot mousse, seasoned fish, grilled vegetables, a root vegetable stew, Japanese steak and grilled rice. 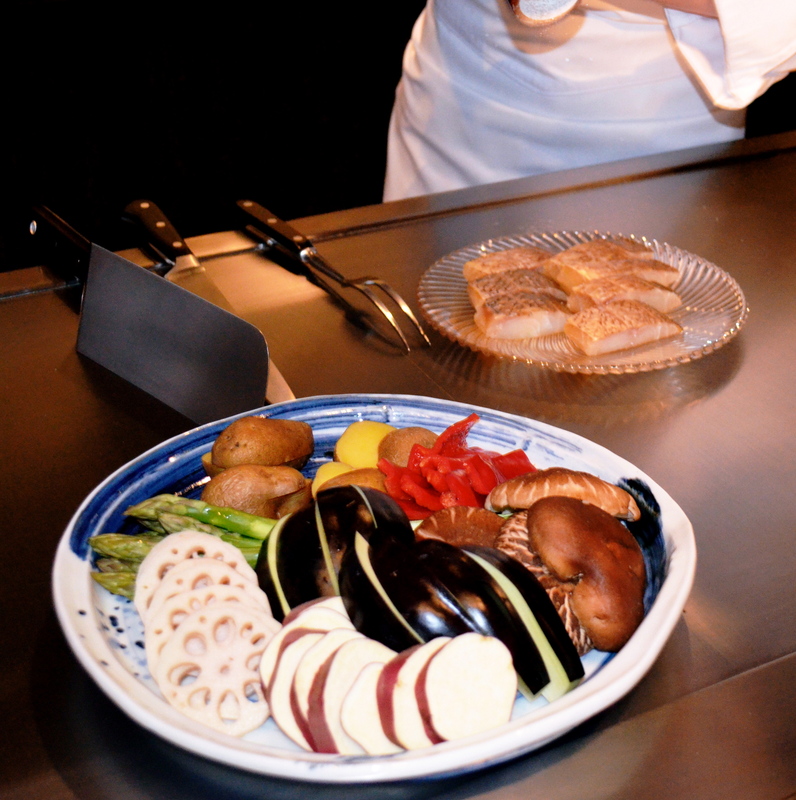 The feature that appealed to me was that it wasn’t just a meat party as most teppan-yaki tends to be and it’s suitable for vegetarians. …and happy that I did! 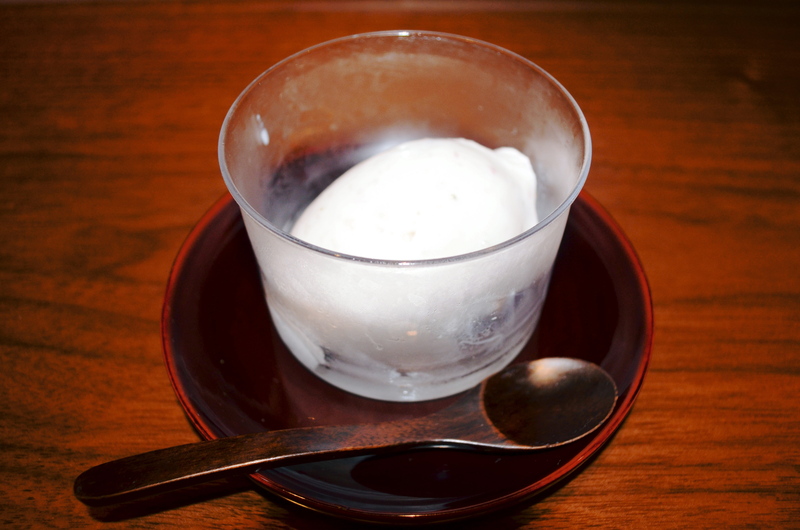 Everything was fresh, high quality and seasonal – the only disappointment was the cherry blossom ice-cream which instead of having a subtle sakura flavour just tasted like…vanilla ice-cream. Nonetheless, it was exquisite and I shall be back! The nightlife scene is not what it was, it’s still better than most cities I’ve ever been to but Tokyo has changed in the past few years. AR and I checked out A971, which was a disaster: the DJ playing Jerry Lee Lewis and Elvis, which is not what one wants to hear all night in a trendy bar, even if we were in the the 1950’s. White Room (3F Satake Bldg. 4-9-1 Roppongi) is still rocking and packed every weekend till 9am – those Brazilians know how to party. The new Supper Club in Roppongi seems to have really taken off, I guess Tokyo’s nightlife district needed somewhere with fine dining and vintage Champagne that’s open till 4.00am. Thank you for filling the void, boys. Don’t ever underestimate a Japanese curry. If you’ve never tried it and your mum can’t make it, get over to the curry shop – no excuses for missing out on this Japanese experience! There’s nothing like it on the way home from a night out and it will be the best $4 you’ve ever spent in your life. I recommend Matsuya and Coco Ichiban, these chains are dotted all over town. On my last day in Tokyo, K and I are going to ritually stuff our faces at Gerbeaud – the best thing ever to have been exported from Hungary – before I waddle home like a fat duckling. I challenge anyone to spend a week in Tokyo without stacking on a few kilos.